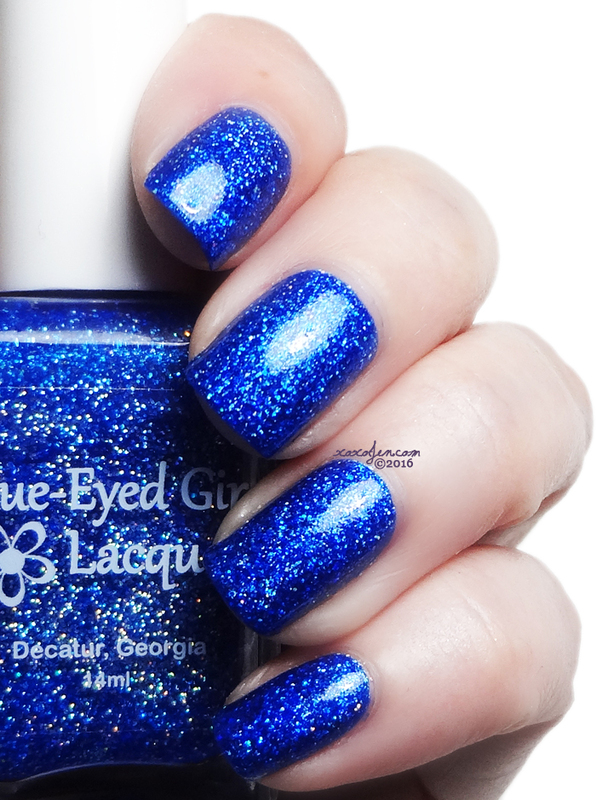 Blue-Eyed Girl Lacquer has created an unexpected palette of colors for her upcoming collection. 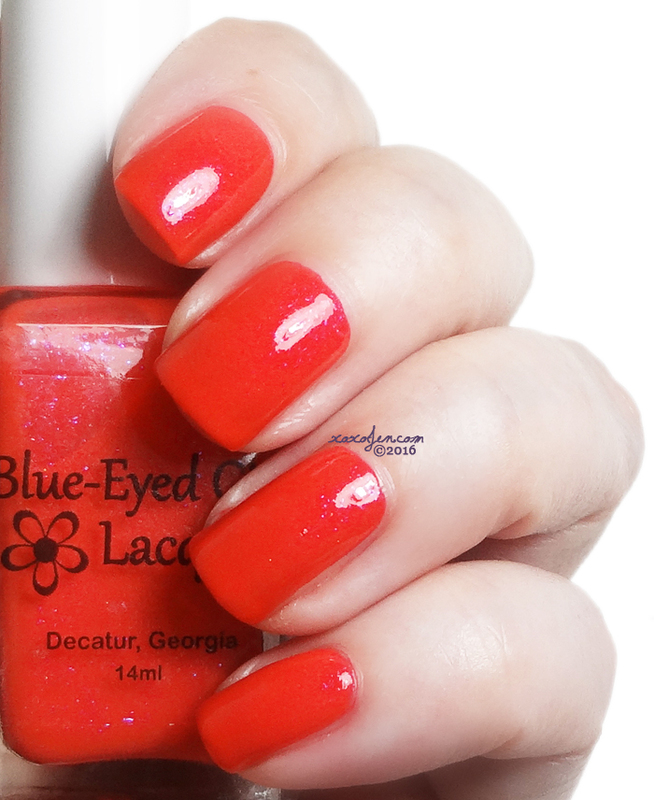 Each polish in the Side A Dad’s Mixtape Collection was created with a classic rock song in mind. Julie's love of classic rock music began as a youngster, and she has been a huge fan ever since. Side B will be coming in December! 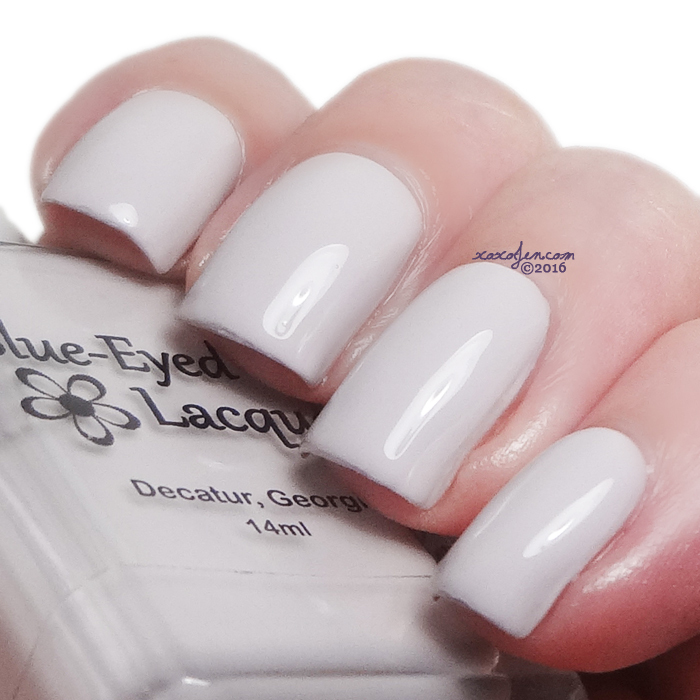 Julie warns that Blue-Eyed Girl Lacquers are designed to be opaque in one to two coats, so they may need to be thinned to your desired consistency. 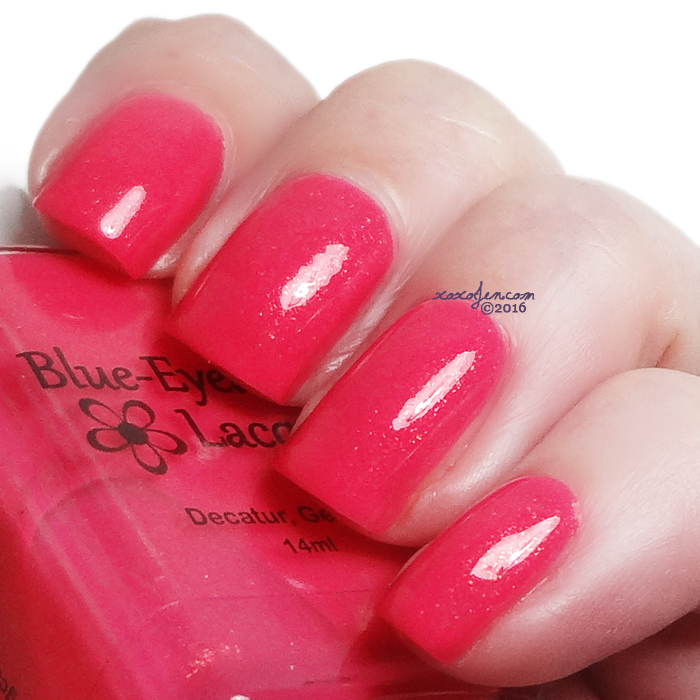 I didn't find any of them overly thick or difficult to apply, the lightest color being the thicker of them. 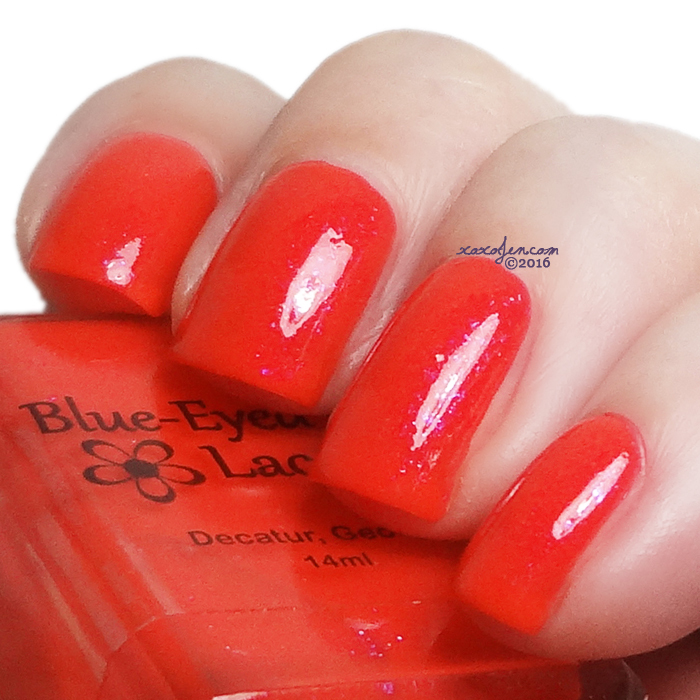 Bright coral with blue shimmer and blue microflakies. 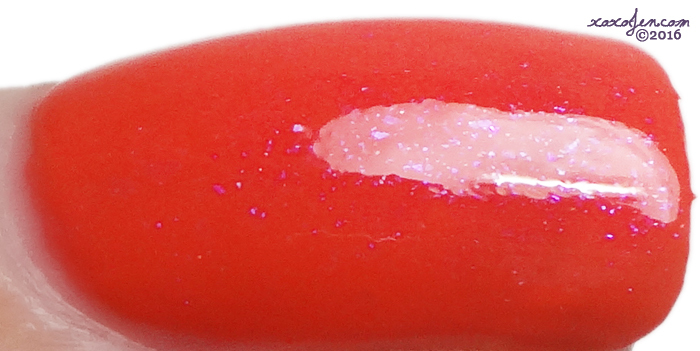 Strawberry hot pink with copper shimmer. 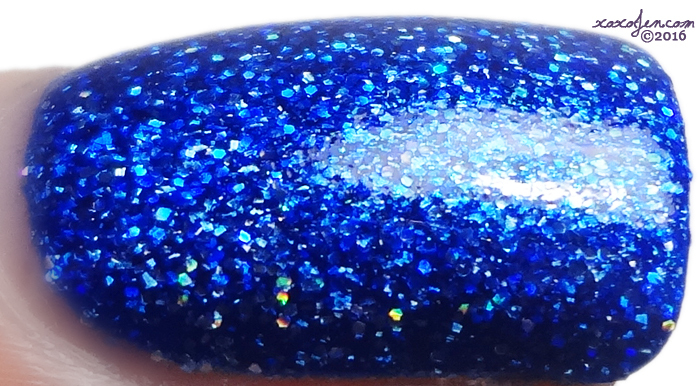 Sapphire blue jelly packed with green shimmer, silver ultra-holo glitter, and silver holo flakes. 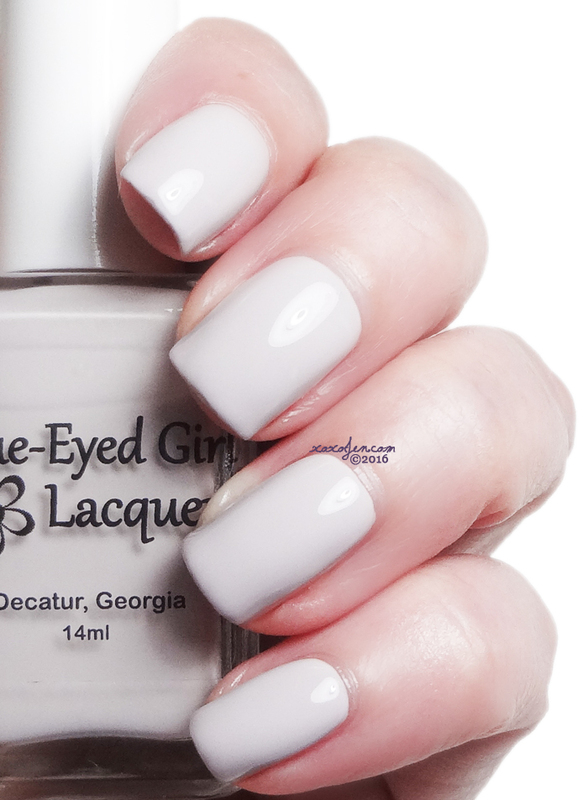 Two coats / topcoat - formula on this one was a little thicker than than the others so I took care to insure each coat applied evenly. 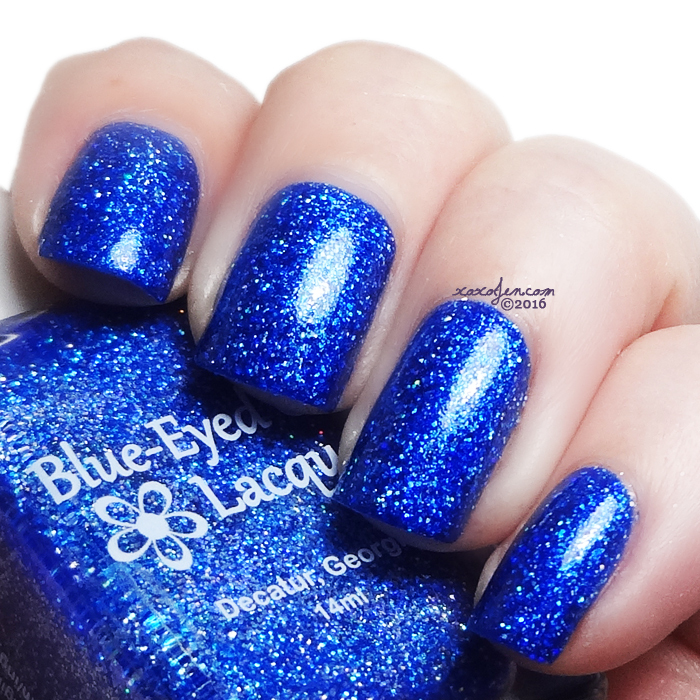 The collection release is set up as a preorder that will be held from 9/28 at 2:30 pm central to 10/1 at 10:59 pm central at the Blue-Eyed Girl Lacquer online shop. 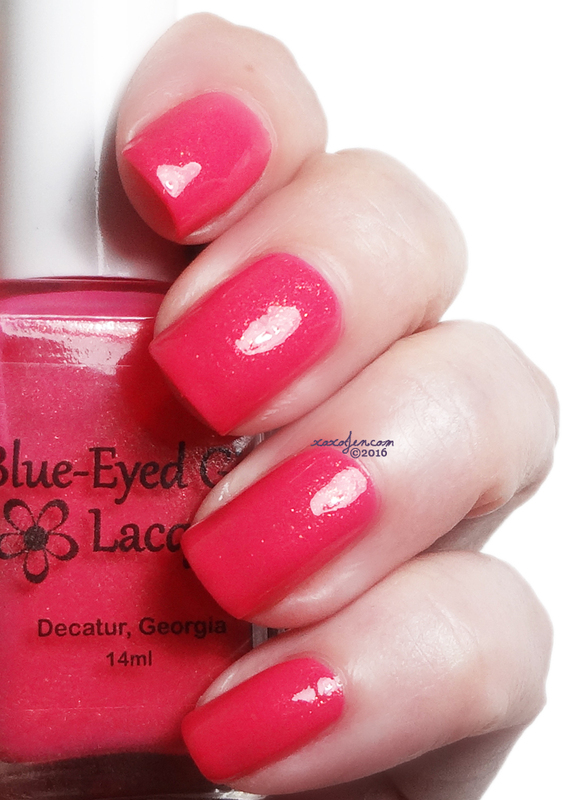 Love love love!!!! Thank you so much! !